La Voz reports that Cuevas del Almanzora is to launch a major legal appeal against the expropriation of 500 has of land to create a major tortoise sanctuary (Tortoise reserve setup in exchange for the AVE). About 130 people will have their land taken away by Madrid in order to create a sort of Stalag Luft for the testudo graeca between two larger, government owned plots of land in the Sierras Almagro and Aguilón. One of the larger landowners, who claims to be a tortoise lover himself, says that the whole issue is because the AVE works removed 1,500m of land from a BIC (special protected area) and so the government wanted to show Brussels they were serious about protecting the endangered species. Affected landowners now have 15 days to submit an appeal. 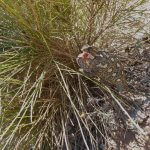 This entry was posted in Blog and tagged ave, cuevas del almanzora, pulpi, tortoise, tortuga mora by David. Bookmark the permalink.